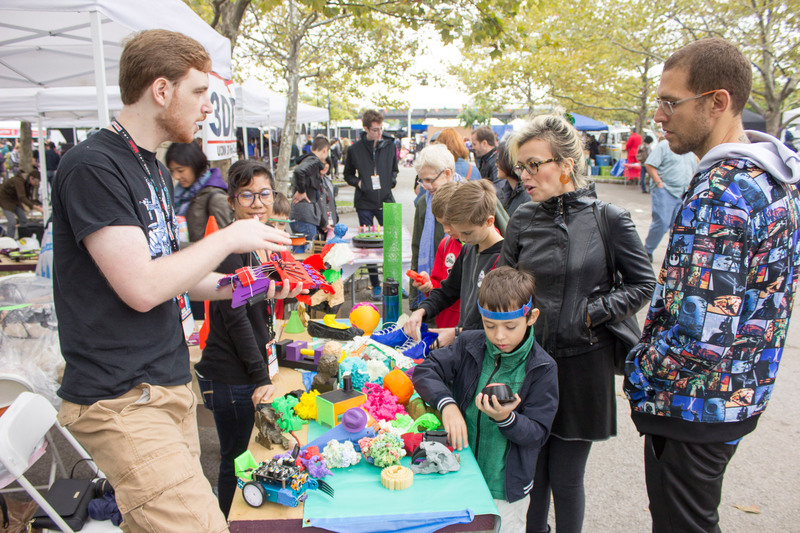 On October 1st and 2nd 2016, 3 staff members and 15 students from the Brandeis MakerLab, a recognized thought leader in higher education makerspaces, attended the World MakerFaire in New York at the head of a delegation from several colleges and universities. 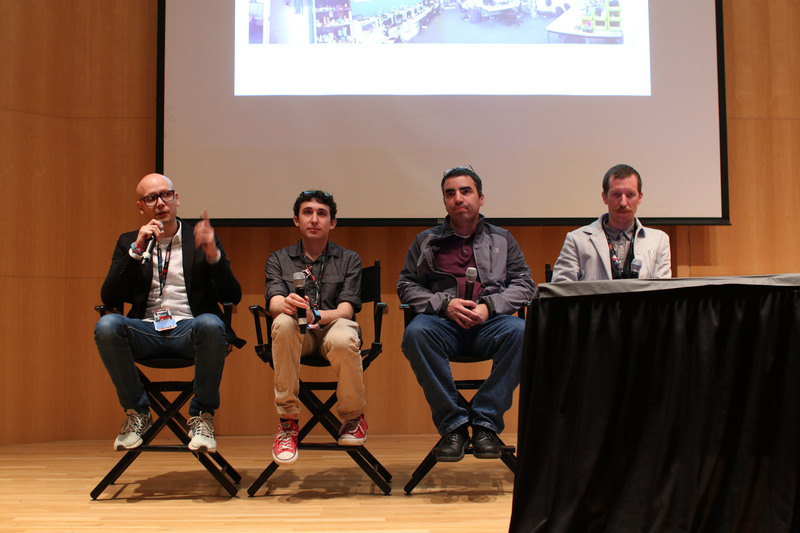 The MakerLab set up a pavilion to showcase community projects, entered 3 pilots in the MakerFaire’s drone race, and led a panel presentation about maker technologies on campus. In just 2 days, more than 100,000 people attended the faire — part science fair and part carnival — which showcases invention, creativity, and resourcefulness. 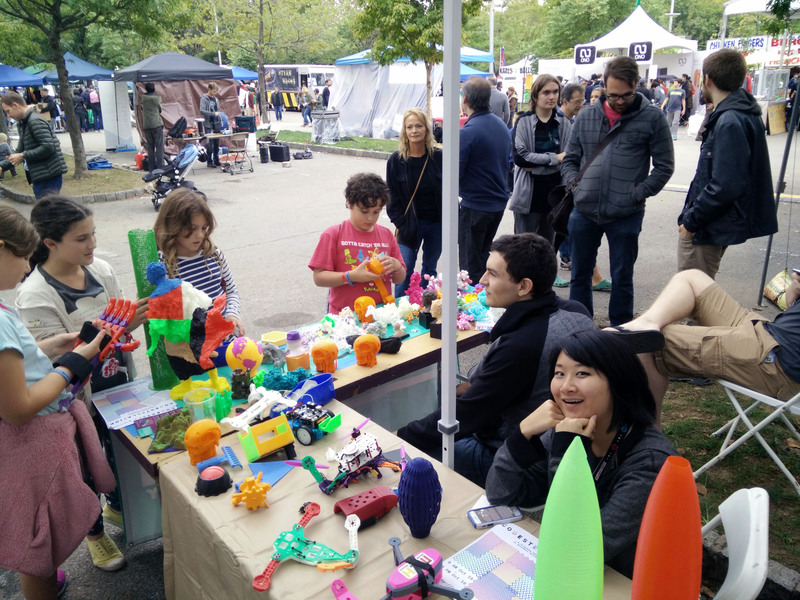 Established in 2014, Brandeis MakerLab invigorates teaching and learning, speeds the pace of research, and connects Brandeis to new constituencies in emerging technology. World MakerFaire was held at the New York Hall of Science in Queens, the same location as the 1964 World’s Faire! Here Michael Litke, Class of 2019, and Julie Ruiz, Class of 2017, demonstrate a 3D-printed prosthetic hand to the crowd at our pavilion. Julie is a student expert who teaches a variety of emerging technologies to fellow students in the MakerLab. Michael is one of our local CAD experts and an active member of Deis3D, the Brandeis 3D printing club. 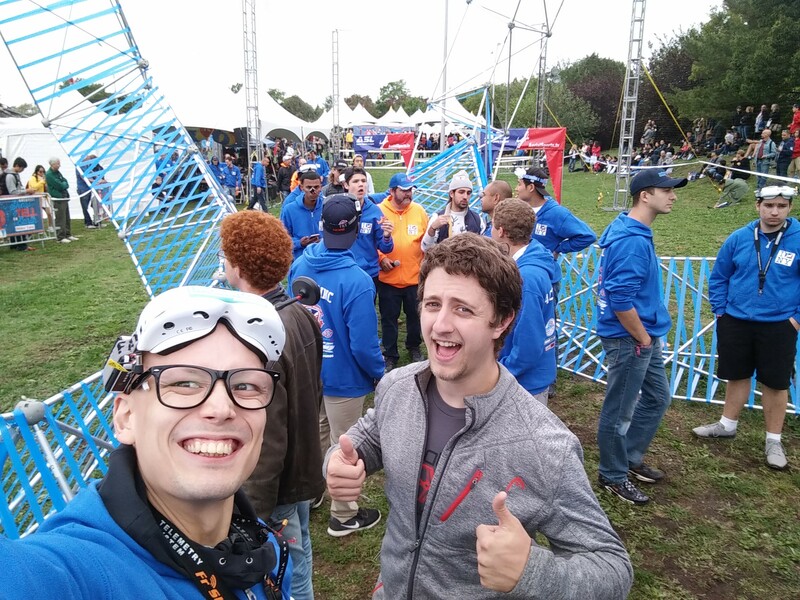 Two of Brandeis MakerLab’s co-founders — Ian Roy, Class of 2005, and Tim Hebert (along with Brandeis community member Jacob Regenstein) — compete in a field of 50 drone pilots at the Aerial Sports League World MakerFaire Drone Race. Tim Hebert won 1st place! Aviation club is re-chartering this semester with the hopes of getting some intercollegiate drone races going in the spring. Ian and Tim are ready to coach! Claire Sun, Class of 2018, and Youssef Fahmy, Bronson Gardner, and Michael Litke, all Class of 2019, hold down the table at World MakerFaire. Waves of enthusiastic kids got to interact with all our emerging technology projects! Our MakerSpaces pavilion set up with Wellesley, UCONN, Colgate, and Olin won a blue ribbon for Editor’s Choice! 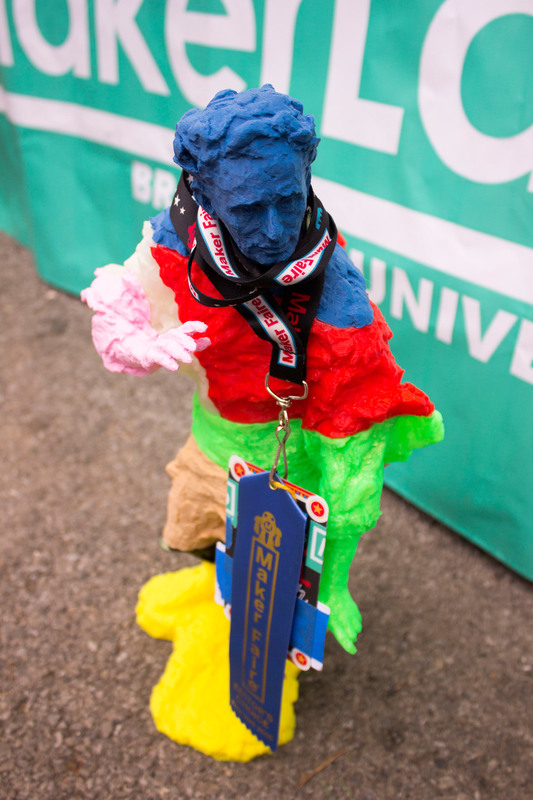 Here a 45cm tall 3D print of the Louis Brandeis statue sports the award. Higher ed makerspace founders from Brandeis University, Wellesley College, Colgate University and the University of Connecticut discuss challenges and victories that each campus has encountered while supporting emerging technologies in a panel discussion titled “Instilling a Maker Mindset on Campus: Case Studies” on the main stage of World MakerFaire.